Mayfield is on his way to becoming the most popular Browns QB of the millennium. Now sitting at 2-1 since Mayfield’s takeover, the Browns are rolling. Despite a rough week in week 4, Mayfield rebounded in week five with 342 passing yards and a TD. There has been a lot of hype around Mayfield and the other rookie signal callers this season, but Mayfield earned this spot due to exciting performances and a better supporting cast than the other rookies. 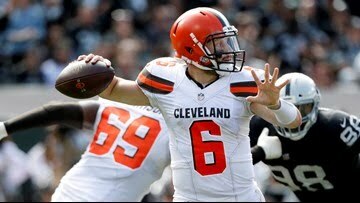 Mayfield is a good option for bye weeks, but can see starter production in 2 QB leagues. Despite an impressive win over the Eagles in Week 4, this weeks loss against the Buffalo Bills shows that the Titans and Marcus Mariota still have their fair share of issues. The fourth year quarterback continues to struggle as a passer as he passed for only 129 yards and an interception in Week 5. Mariota has been inconsistent throughout his career and this season he is battling an elbow injury. Unless he can get pass this injury and show some consistency with winning with his arm, he will not be worth keeping on your fantasy teams. His 344 yard 2 TD performance against Philly says more about the Eagles secondary than his passing prowess. 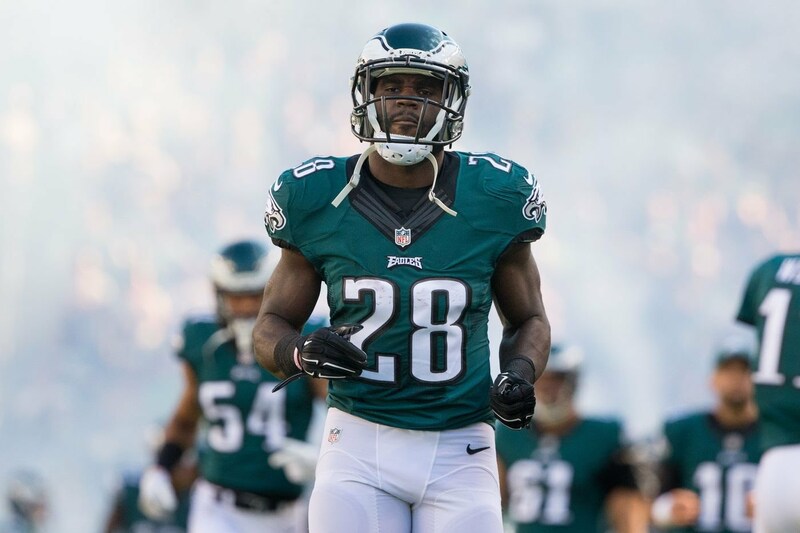 Wendell Smallwood has enjoyed an increased role with a banged up Philadelphia Eagles backfield. The waiver wire has been especially thin for running backs so far this season, so Smallwood’s role is especially valuable. He only had three rushes for 27 yards this week, but he stepped it up with 3 receptions for 44 yards and a TD in the pass game. With Jay Ajayi being out for the rest of the season, and the rest of the Eagles backfield battling injuries of their own, a pass-catching back like Smallwood could really benefit in PPR leagues for the weeks to come. A QB of Carson Wentz’s caliber coupled with the play-calling of Doug Pederson is a plus for Smallwood’s fantasy production. Jay Ajayi has done well since being traded to Philadelphia last year and has really earned his spot on the team despite the backfield by committee approach. Unfortunately, Ajayi has torn his ACL and will be done for the season. The waiver wire has been especially thin this year at running back so waste no time finding a replacement for Ajayi. Finally! FINALLY! 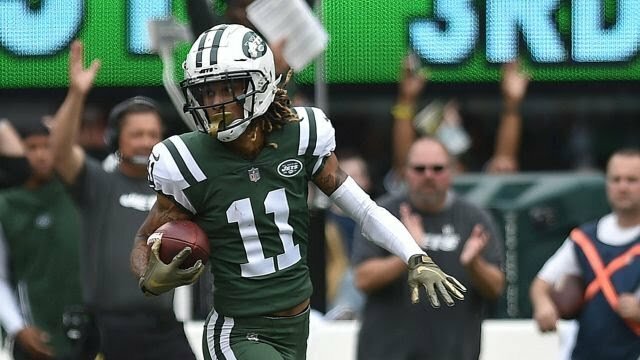 Fantasy owners and Jets fans alike breath a sigh of relief as Robby Anderson finally hits pay dirt for the first time since week one. With not one but two beautiful deep balls from Sam Darnold, Anderson is returning to fantasy relevance. With the Jets passing game struggling for most of the day, Anderson took his three receptions for 123 yards and two scores. If Darnold continues taking shots to Anderson, it could not only make Anderson a solid flex option, but could potentially open up other players on the Jets offense for some increased production. So optimism was tempered for Brandon Marshall when he moved to Seattle after a disappointing tenure with the New York Giants. This week he played only seven snaps, and failed to bring in his only target. With so many waiver wire options at wide receiver right now, it would be absurd to keep Marshall on your fantasy team. It has been a great career for Marshall, but I am afraid this is the end of the road. Look above for better options. Eventually the Seahawks will run out of pass catchers right? Well maybe not. With Will Dissly going down for the season, Nick Vannett has been seeing a majority of snaps in the Seahawks offense. 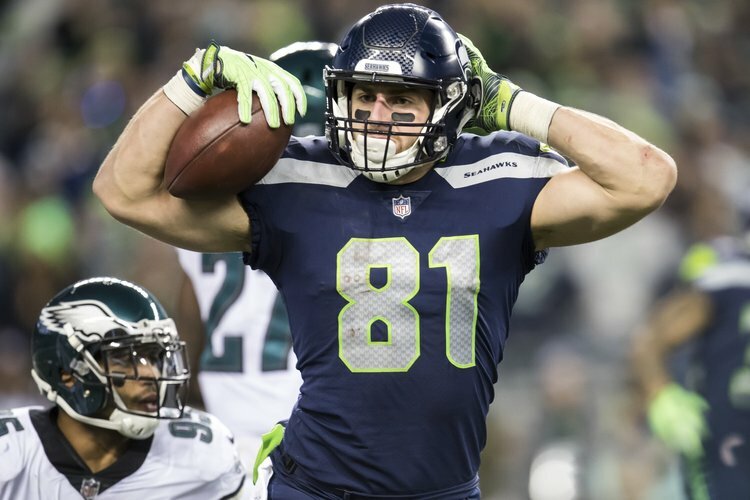 Though he only managed 43 yards off three catches, the current lack of production at TE makes Vannett a good option for your TE bye weeks. Antonio Gates is one of the all time greats at TE, but right now he is only playing about a third of the Chargers offensive snaps. They are turning more towards Virgil Green (roughly 66% of snaps.) For anyone picking him up hoping him to vulture some TDs, he only has one so far this season. Despite a very top heavy TE supply, there are still better options available to pick up. The Browns defense put on another stellar performance against another good offense. The Browns are currently owned in only 32% of leagues despite leading the league with 15 takeaways and ranked 2nd in fantasy points this season. As of right now, I would recommend picking up the Browns as a starting defense if your defense is currently struggling, or even if your defense just has a tough matchup. Do not fear Cleveland, these are the new Browns, embrace them. Scoop them up off of the waiver wire. The Chargers defense has been a popular pick this year, but with several key injuries (most notably Joey Bosa) the defense is a disaster. With the amount of defenses available right now, there is no reason for the Chargers to be owned in 67% of leagues. Related Items#CPGMFantasyFootball2018 Fantasy Football2018 Waiver Claims2018 Waiver Wire2018 Waiver Wire Week 6Add & DropAdd and DropAdd em Drop emAdd PlayersDrop PlayersFAABFAAB Bidsfantasy footballFantasy Football Waiver WireFeaturedWaiver WireWaiver Wire ReportWeek 6 Add/DropWeek 6 Waiver WireWeek 6 Waiver Wire ReportWendell SmallwoodWho should I add?Who should I drop?